Stay Safe in Your Studio! We don't often think of how to stay safe in our quilt studios, but we really should! In this video Kim shows you some of the possible dangers in your studio and how to stay safe. Be sure that your iron is turned off before leaving your quilt studio. We all use extension cords, but this can pose a tripping hazard. Keep safe by taping or rerouting the path of extension cords. Keep your sewing machine safe by plugging it into a power bar with a surge protector. Always keep your rotary cutter closed when not using it. 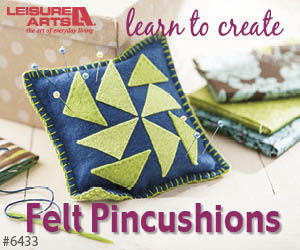 It's a good idea to have a first aid kit or band-aids in your quilt studio for those cuts that often seem to happen. Have your cell phone or another phone close by in case of an accident where you need to call for help. Do you have other suggestions for ways to stay safe in the quilt studio? Let me know in the comments below. It's that time of year again! Cooler temperatures and shorter days mean that fall is just around the corner. I love fall quilt projects, whether it is just for autumn or for Thanksgiving (in October for Canadians and November for Americans) or my favourite, Halloween. Where possible, I have included links so you can take a closer look at these books - or get your own copy. Click on the image below to get a sneak peek of each of these books. Do you have a favourite book - or two - that have seasonal projects in them? Leave me a comment below to tell my the ones you like the best.